April 21st at 11am, come celebrate Easter Sunday with us at Lakeside Worship Center! Receive an inspiring word about Our Hope from Pastor Leland, fun activities for all ages and a receive special gift to take home. 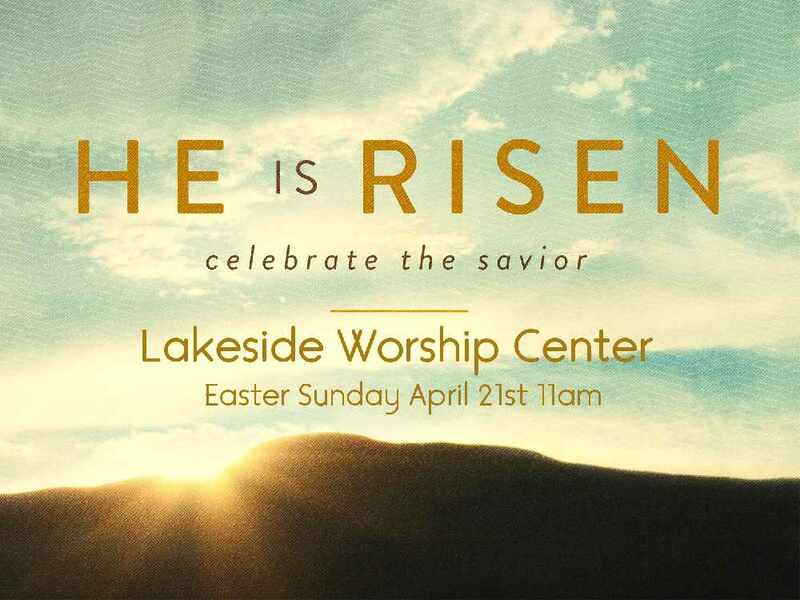 Come celebrate with us at Lakeside Worship Center this April 21st at 11am for Easter Sunday! Come receive an inspiring word about Our Hope from Pastor Leland Elliott, activities for all ages (nursery-youth) celebrating the Resurrection of Jesus Christ, and take home a special gift. Right off of Black Lake Blvd on Goldsby Street. Address Below.